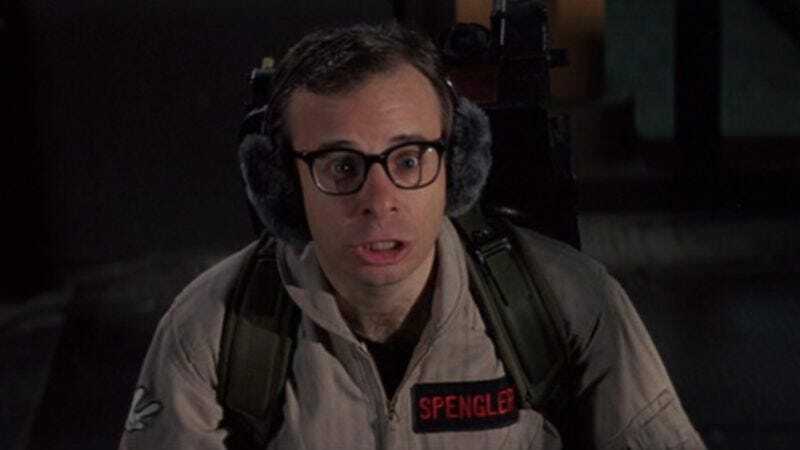 In a new interview with The Hollywood Reporter, Rick Moranis revealed that, contrary to popular belief (and his own Wikipedia page), he hasn’t officially retired from acting. But that doesn’t mean he’s going to reprise his role, however briefly, as Louis Tully in Paul Feig’s Ghostbusters reboot. The actor said he turned down the chance to reunite with former co-stars like Bill Murray, Ernie Hudson, and Sigourney Weaver, as well as meet the new team played by Kristen Wiig, Melissa McCarthy, Leslie Jones, and Kate McKinnon. Moranis explained why he declined, while wishing the cast and crew all the best: “I hope it’s terrific. But it just makes no sense to me. Why would I do just one day of shooting on something I did 30 years ago?” The actor granted THR the rare interview because he was “stunned by the outcry over his absence in the film.” Louis Tully will undoubtedly be missed, but Moranis—who didn’t retire from acting so much as “gradually disengage”—says he’s just being selective. Of course, Moranis could just be holding out for a (good) film treatment from Dan Aykroyd, who’s had ideas for a Ghostbusters 3 rattling around in his head for years. When Moranis spoke with Empire back in 2013, he said he wasn’t opposed to appearing in a new Ghostbusters film, and even suggested a storyline for Tully that involved Bernie Madoff. In the interim, he’s kept busy with voice work (two Brother Bear films), a country album (The Agoraphobic Cowboy), and the 2013 comedy album My Mother’s Brisket & Other Love Songs.